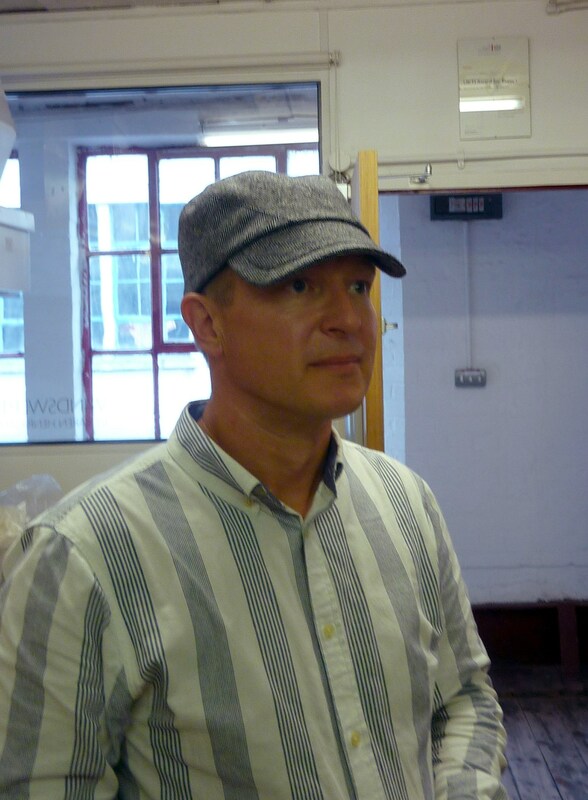 Shop visit: Karen Henriksen, caps for chaps - Well Dressed Dad - It is a proper menswear blog. Like, with original words and opinions and suchlike. I’ll start this piece with an admission, and I’m quite certain it is one I share with very many men: Hats have never been my thing, ever, apart from the obvious times when one has been necessary, and then only in the form of warm, wind-proof head-wear for cycling in the cold, or a hard hat, for keeping my noggin safe when inspecting civil engineering works. Neither of these contribute in any way to being a stylish dad. 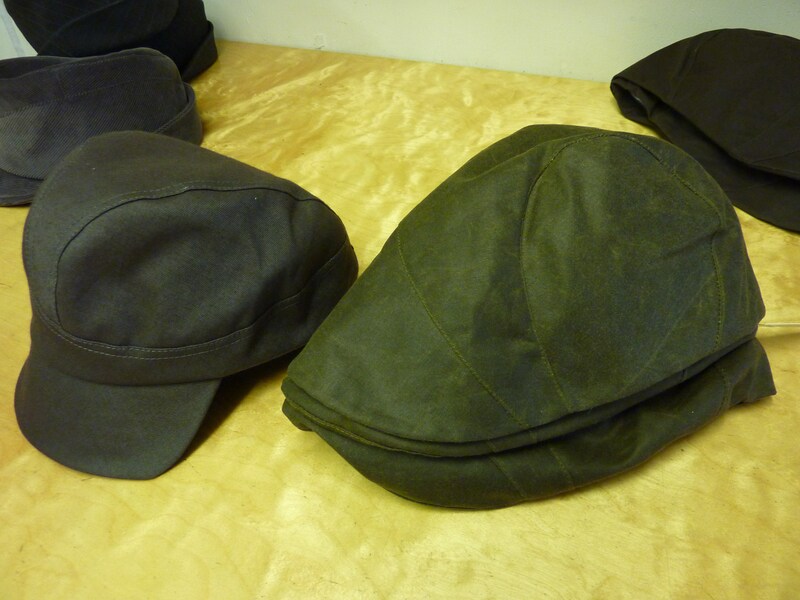 Plus, WellDressedGirlfriend has been quite clear on a several occasions (most usually involving the same leather-brimmed oilskin cap) that I really don’t have a head that lends itself to carrying a hat. Which has been fine, no problem, no hurt feelings, what would I put on my head anyway? 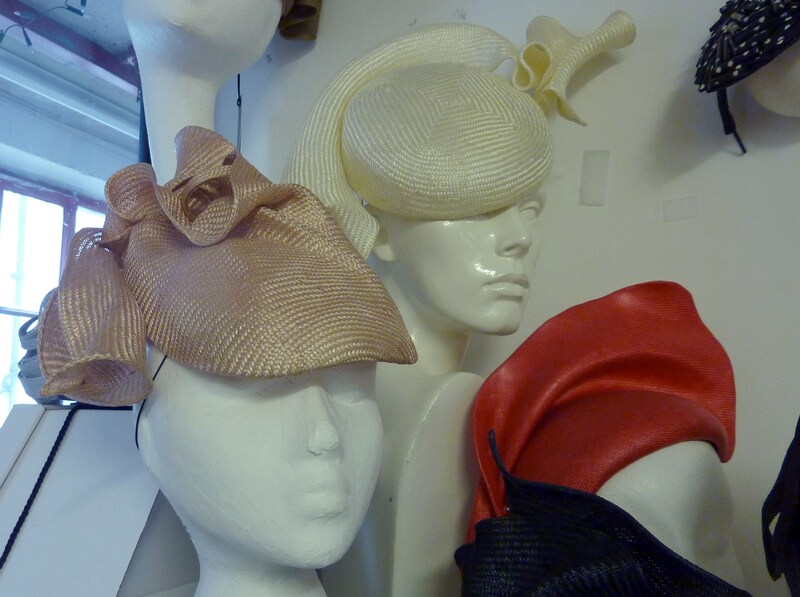 And then Karen Henriksen, a superbly talented milliner, popped up on my radar. 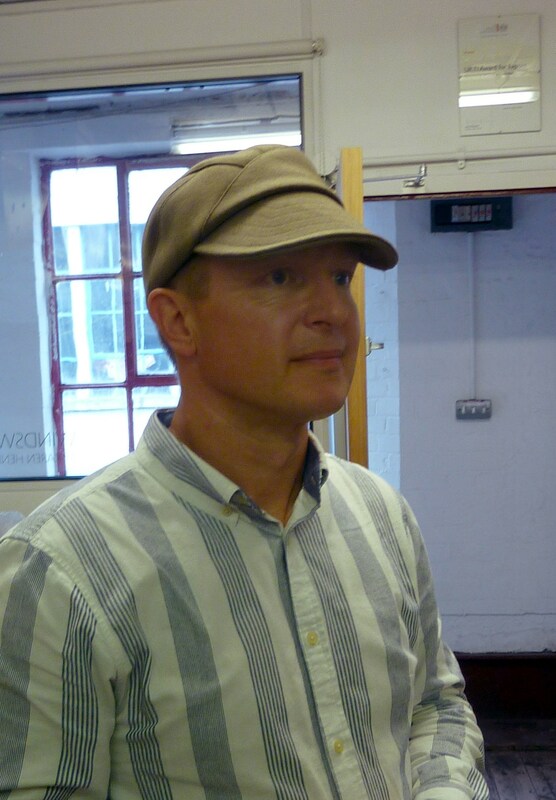 A milliner, you say? I was in the dark myself, though I quite soon learn’t that a milliner is a hat-maker. And what hats Karen does make! I was so taken by her work that I had to arrange a visit for when I was next visiting London. As the day drew nearer, I found myself wondering what I’d let myself in for. Me, a humble middle-aged civil engineer, writer of a mediocre menswear blog featuring poorly taken photographs of myself, off to meet a milliner to royalty? 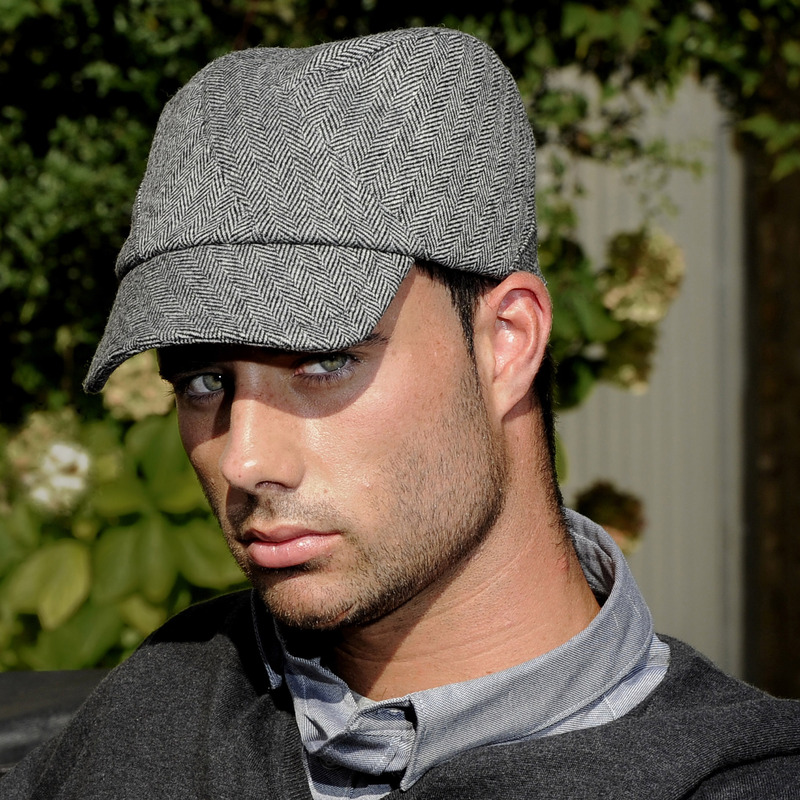 On a quest to investigate stylish hats for chaps, and possibly be behatted? Karen Henriksen has a quite formidable-looking website, so I was feeling quite uncertain of what I was letting myself in for. 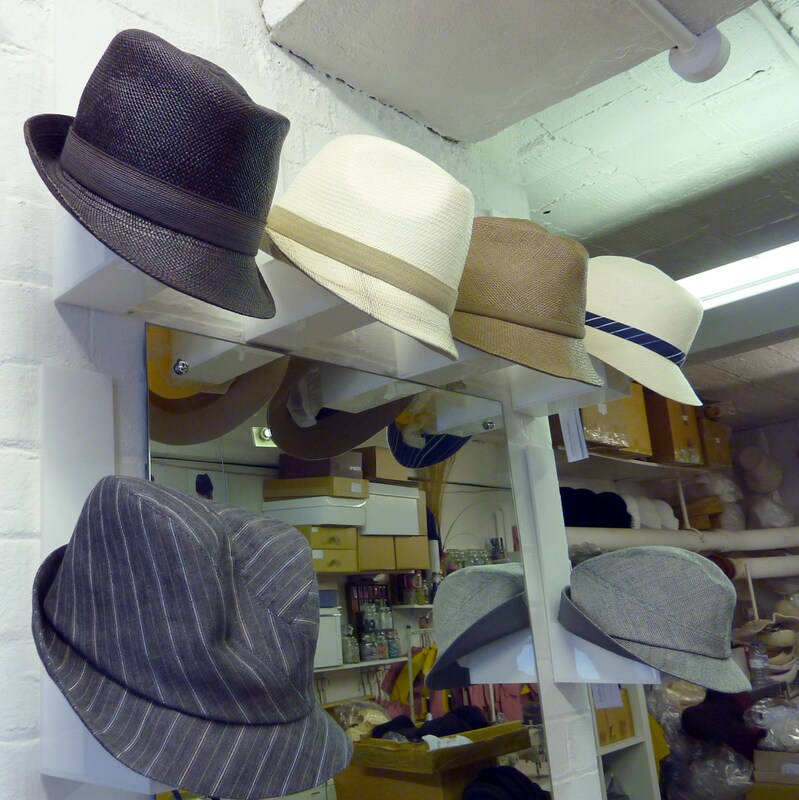 Ladies hats, not for us chaps! 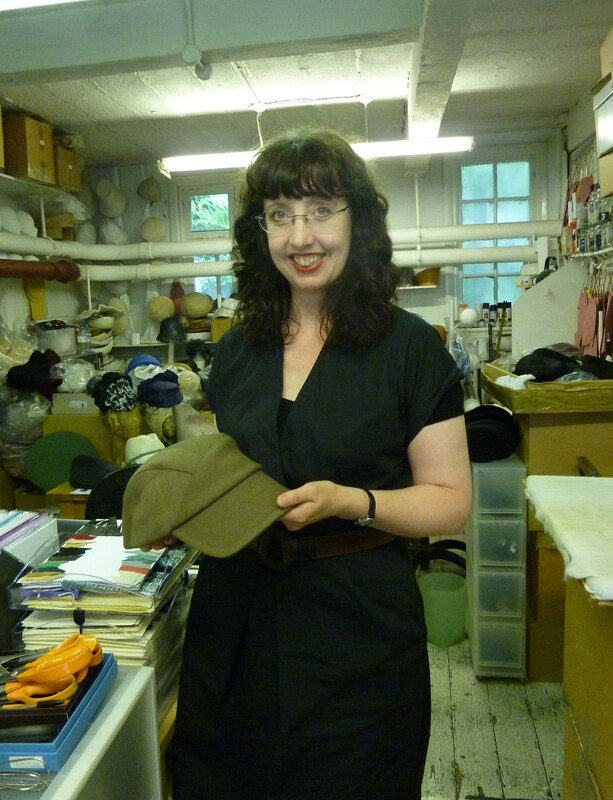 As it turns out, Karen Henriksen Millinery is just actually just Karen, and a part time assistant, holding house in a wonderfully authentic and busy workshop in Cockpit Arts, a workshop collective handily placed near Lambs Conduit Street. Looking at the infoboards outside Cockpit Arts, it looks like a very interesting place to have a workshop, as the tennants are both many and varied in their crafts. Karen herself is utterly charming, and totally dedicated to her profession. From a background in more general fashion-related work, she now only works on head-wear, primarily for women, but more recently also for men. I didn’t hear mention of any male celebrity clients, but on the female side she has Zara Phillips and Princess Beatrice on her client list, which does vouch for her skills in the field. Given that I’m something of a workshop freak, and greatly appreciate and admire proper craftsmen (craftswomen? ), I was very taken by Karen’s workshop. A pleasant mix of raw materials, work in progress, patterns ready to cut from, the tools of the trade, and displays of finished wares. 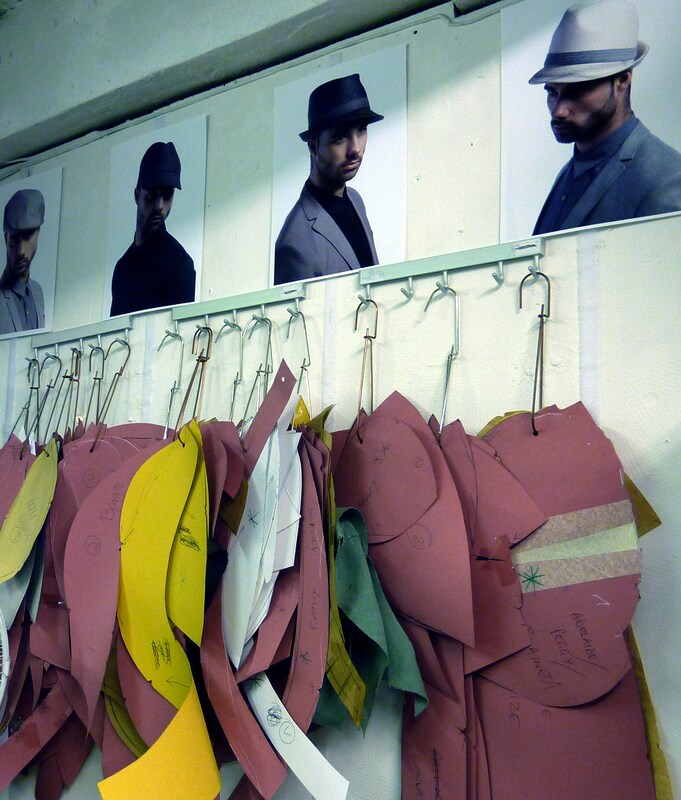 A good workshop is like a cosy cavern, where the craftsman can find inspiration, energy and concentration. I definitely got that feeling in Karen’s workshop. 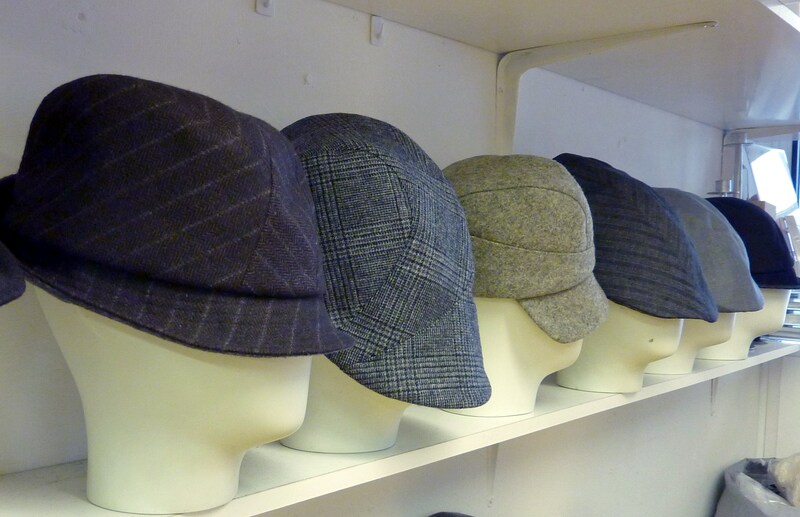 So, after a good natter about this and that, we got down to the practicalities of hats for men. Given that this is a fairly new venture for Karen it is interesting to see how quickly she has come up with a wide selection of suitable hats and caps. Studying the various hats, the different constructions and types, I couldn’t help but be impressed by how much detailed work goes into each hat. All the outside pieces that need to be stitched together, the bits you can’t see, and finally the lining put in place. I couldn’t work out how it could be done, so making hats is definitely a real craft. I couldn’t help commenting on the model she has used so far to model the men’s hats, specifically how he is rather on the young and slick side. This from a more middle-aged and average-looking vantage point, of course. Karen played along with this and agreed that a more mature and experienced model might be used next time. Before I left, I brought up an idea I’d previously aired by email. 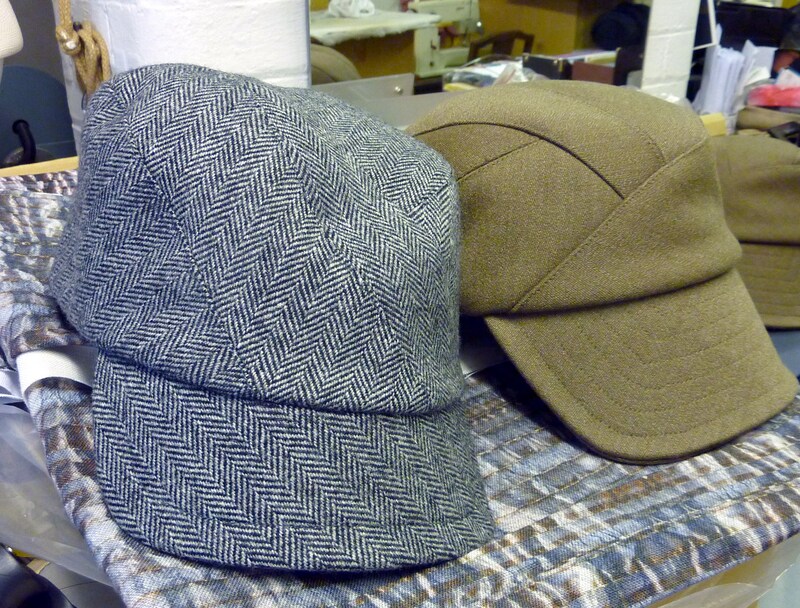 Creating the ultimate stylish mans hat for cycling, i.e. a hat with not only style, but an amount of utility in terms of being resistant to pesky rain, and also keeping the wearers ears and neck warm and draught-free. No easy task at all, as we discussed a bit back and forth. Obviously it would be cool to do it in Ventile and Harris Tweed, it could easily look something along the lines of the Lewis shown further down, with addons. While Karen is obviously not short of work to occupy her, she did admit an interest in such a project. Time will show, and you’ll read about it here first. So, down to the fitting. I ended up having a hard time selecting between these two, the Jenson and the Lewis. In the end we came down in favour of the Lewis, and while I’m normally far too critical of myself, I think it looks pretty dapper. I’d really appreciate some support from you, my much appreciated reader, in this, as WellDressedGirlfriend is still chuckling whenever I look the other way! And apologies for my utterly gormless expression, I find it incredibly painful to be photographed, as I’m sure a substantial number of other middle-aged men do! Definitely Jenson. I can’t explain why exactly, unfortunately I am a very amateur clothe critic, it may be the colour matches your shirt better or the fit looks smoother. Not sure but would have to say Jenson. Thanks for your comments, Stephen! A very hard choice indeed, yet I found myself thinking it could be a tweed overload, and hence going for the Lewis instead. The green will match a lot of my other pieces!